When something new arrives, you blow out older inventory to make way for it, right? That’s exactly what some PC vendors and stores appear to be doing with the release of Windows 10 just nine days away—blowing out Windows 8.1 machines at significant markdowns. 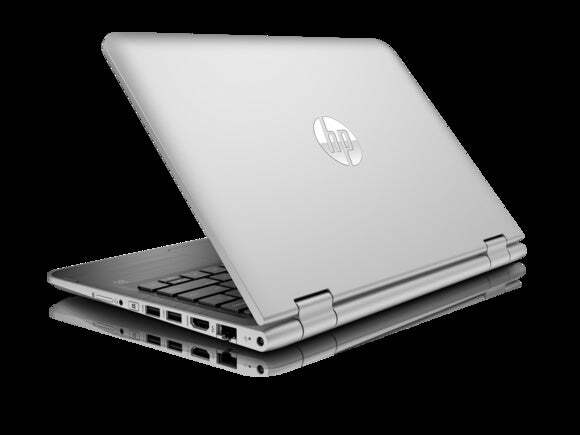 HP, for example, is offering discounts on its multiple machines, with some appearing to be pretty good deals. A Pavilion 11 with a Bay Trail-based Pentium CPU that previously sold for $399 is going for $299, and a higher-end Core i3-based Pavilion x360 is “marked down” from $529 to $499. Other models reported by Maximum PC this morning also feature pretty healthy mark downs, with the Envy X2 taking a cut from $1,049 all the way down to $699. Why this matters: With consumers putting PC buying on pause as they wait for Windows 10, vendors and stores are apparently pulling out the stops to try to goose sales of “older” PCs with Windows 8.1. HP isn’t the only place to get Windows 8.1 PCs on “clearance” though. Amazon is also hosting a “Windows 8 event” with price cuts on Windows 8.1 machines. There you can find about 20 Windows 8.1 machines with prices marked down from different vendors including Lenovo, Acer, Asus and Dell. Deals include an Acer V15 Nitro gaming laptop with a quad-core Haswell chip and GeForce GTX 960M graphics processor marked down from $1,499 to $1,269. Oddly, the “Windows 8 event” search on Amazon also offers up Acer's Chromebox, which—if you didn’t know—doesn’t run Windows. It run sGoogle’s Chrome OS. It may or may not be a real clearance, but some of the prices are still pretty good. Is this really a clearance? The cynical part of me says these aren’t actually traditional clearance events, where you’d get a deal on a 2011 Pontiac because the ought 12’s just came in, but rather black Friday-like events designed for consumers who only shop deals. For example, over at Tiger Direct you can still find its summer sale going on. Since they all run Windows 8.1, it’s technically a Windows 8.1 clearance right? 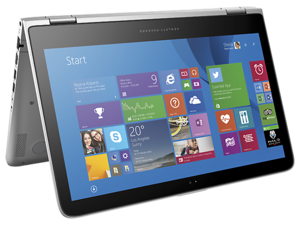 Windows 8.1 laptops all qualify for free upgrades to Windows 10 when the operating system launches next Wednesday. And just last week, HP execs told me Windows 8.1 laptops are already good to go for Windows 10, so buying a Windows 8.1 laptop would be just like buying a Windows 10 laptop. Many of the machines sold under a Windows 8.1 clearance event will most likely be sold as Windows 10 PCs by August, too. PC vendors also won’t just flip a switch and upgrade all of their computers to Windows 10, either. It’ll take some time to validate their hardware, so you’ll probably find Windows 8.1 PCs well into next month and even longer. Still, as someone that launches into a Pavlovian response to the words “clearance,” “sale” and “deal,” it’s worth checking out. And who knows, maybe it’s a way to give people who don’t want Windows 10 as a service their last crack at Windows 8? Maybe in six years, those still rocking Windows 8.1 machines will be flying Gadsden flags of how Windows 8.1 was the last “real” Microsoft OS.